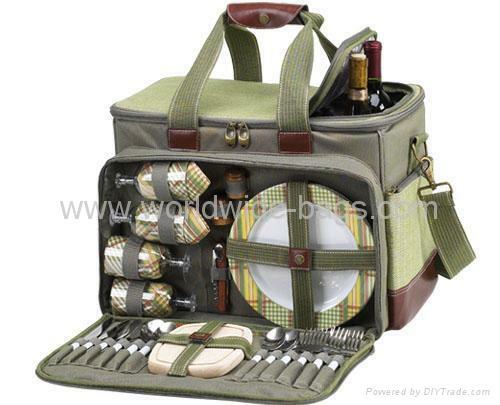 Upscale, insulated picnic cooler with service for four. 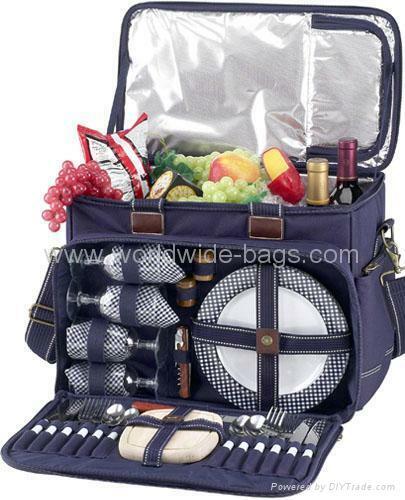 Unique, waterproof, divided cooler compartment allows for drinks to be kept on ice, while food stays cool and dry. Easy access to beverages through zippered opening in lid.